Friday cannot come soon enough! Dan and I are taking our first trip to Europe, and the party kicks off on Friday evening. We’ll be in Italy, starting in Rome, winding our way through Tuscany, and ending in the idyllic Cinque Terre. We’re going with some of our best friends (another couple) and without our 2-year-old. So, very bittersweet, as you might imagine. This vacation is so desperately needed. We have wanted to go to Europe for years now, and this is the first chance we’ve had to make it a reality. In our 10 years together, we have talked about dream trips through Europe, but we could never afford to make it happen. We saved up and planned on going a couple summers ago, but whoops, I got pregnant much faster than we anticipated. Italy went on hold for another couple years. Because, c’mon, I can’t go to Italy when I can’t have wine! Or most of the cheese! Or prosciutto! Justifying the cost and time away from our son prevented us from doing it sooner. That isn’t a complaint! Just a fact. I am still struggling with the reality of leaving Kieran and our dogs (one of whom is very sick at the moment) behind, but my relationship with my hubby thrives when we get some time to ourselves. It’s something that has become apparent during these early years of parenthood. It’s what we need. And in the end, it’s good for everyone. So! Italy is our destination, and we fly out on Friday night. I have my Kindle loaded up with books and Gilmore Girls downloaded on my iPad. Packing wise, though, I’m totally not prepared. Priorities. To celebrate our long-awaited trip, I’m making a classic Italian cocktail: negroni! I am already predisposed to this cocktail for a number of reasons: I love gin, I love anything citrus, and I love anything sweet/tart. That’s basically what makes up a negroni, so I have been a fan for years. If I see one on a restaurant/bar menu, I usually order it. This is the first time I’ve attempted to make them frozen, though! And it certainly won’t be the last! That slushy, partially frozen texture is to die for. 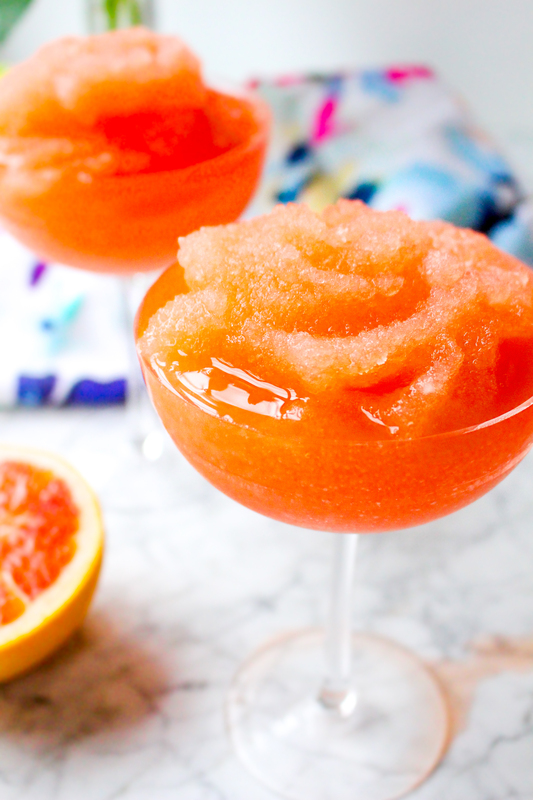 It really is like eating a slushy…but for grown ups. The best of both worlds, I say. The ingredients are mostly traditional when it comes to this negroni mix. I add in some fresh orange and grapefruit juices, though, just to liven things up a bit. The orange juice also adds another layer of subtle sweetness, which I happen to very much enjoy. The peppery gin ties all the flavors together nicely. 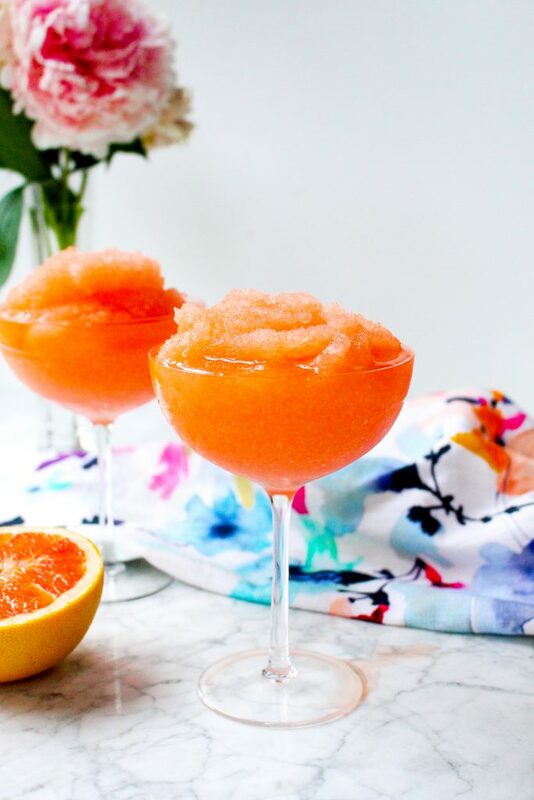 A little tart, a touch sweet, and a lot refreshing! Now, if you’ll excuse me, I am off to make a fresh batch of these. Ya know, to help me cope with leaving my baby behind for some adults-only time. Eeeek! 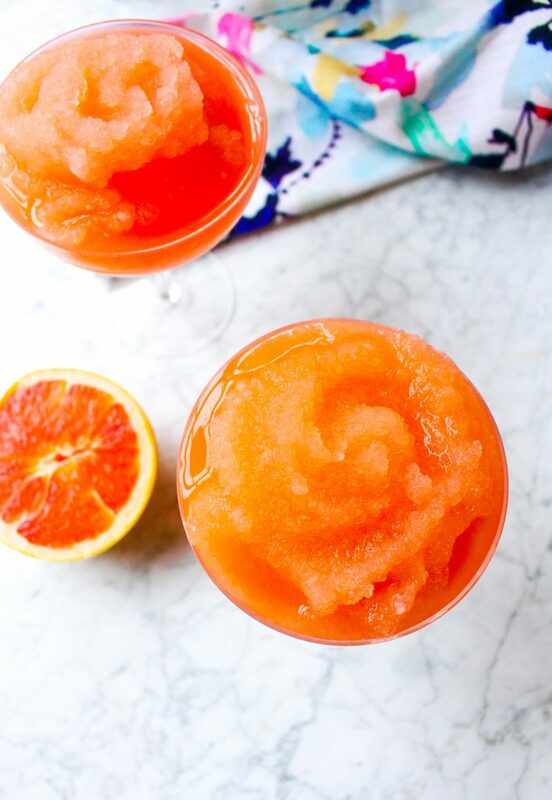 In an airtight container, whisk together the citrus juices, gin, campari, sweet vermouth, and agave nectar. Chill the mixture for a few hours (or even overnight). Transfer half the mixture along with 3-4 cups of ice to a blender. 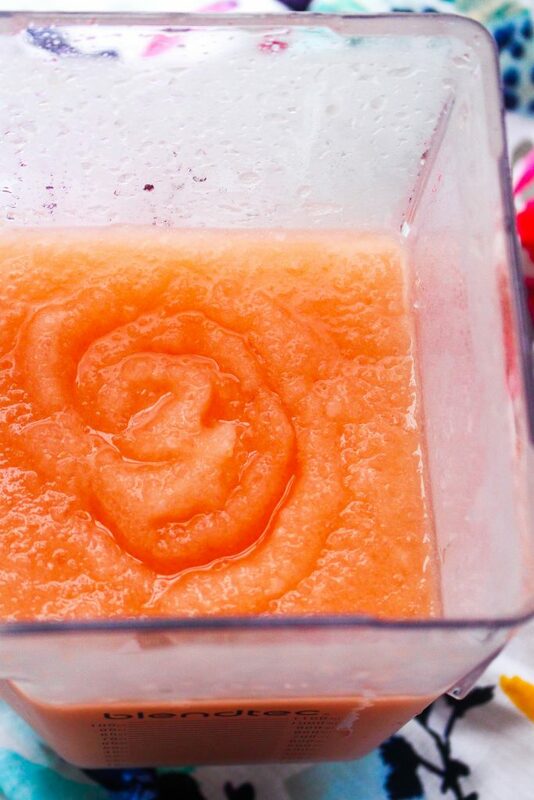 Blend on high until the mixture is of a slushy-like consistency. 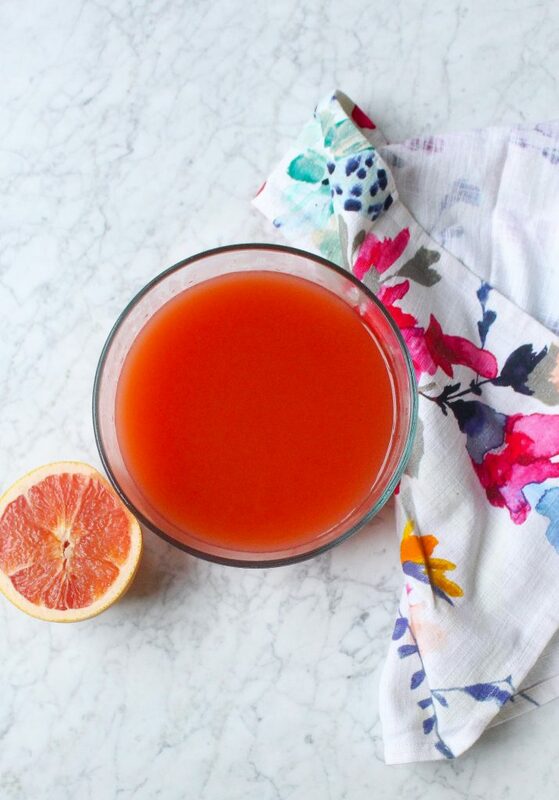 Pour into glasses and garnish with citrus slices. Repeat with remaining negroni mixture and another 3-4 cups of ice. The agave nectar is not an ingredient seen in a traditional negroni. 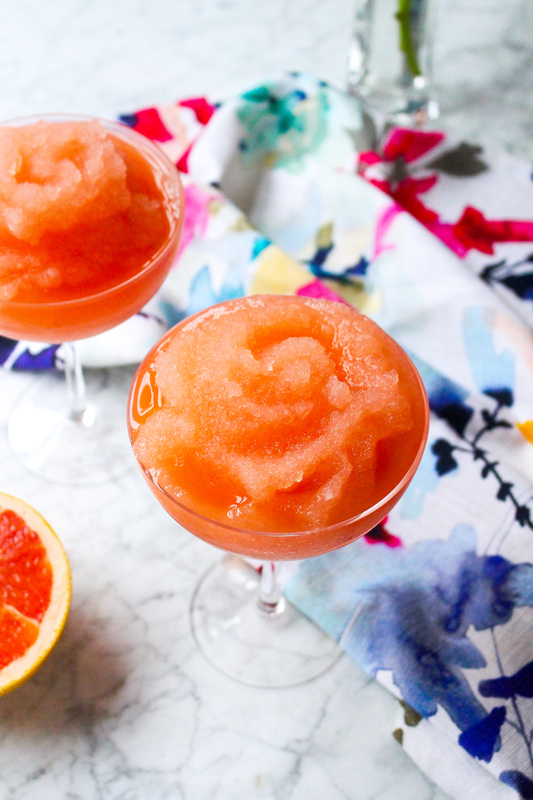 My palate wanted a little extra sweetness, so I added the agave nectar to meet my tastes. Feel free to leave it out.